Blunt, smoky flavors are the objective in creating this, our darkest roasted coffee. The intense flavor makes it one of our most popular coffees. 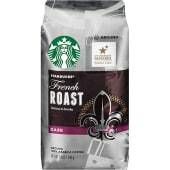 Despite its bold flavor profile, French Roast contains no more caffeine than any of our other coffees.